INDIANAPOLIS – In a workshop on the grounds of the former Central State Hospital, artisans work to give a city’s trash new life. 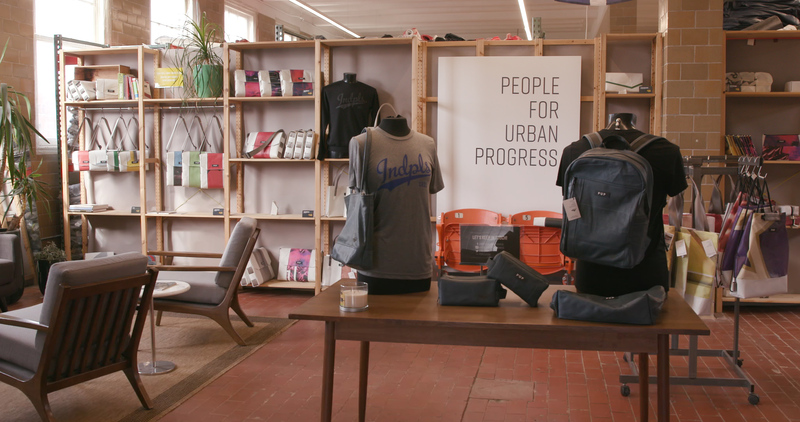 The staff of Indianapolis’ People for Urban Progress organization repurposes building materials and other salvaged supplies into fashionable items for sale like travel bags, messenger bags, backpacks, wallets and purses. The non-profit organization began in 2008 when the Indianapolis Colts moved into the new Lucas Oil Stadium. Their former home, the RCA Dome, was slated for demolition, and the group acquired 13 acres of Teflon-coated fiberglass material used as an inflatable dome. 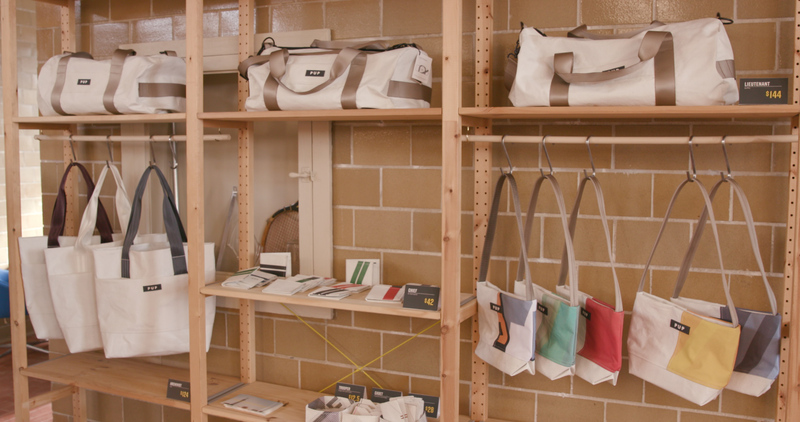 People for Urban Progress repurpose materials into fashionable items. The group’s sewing and design teams combined the RCA dome fabric with additional upcycled and reclaimed materials to form products Cowley calls eco fashion. One of the group’s products, a messenger bag, is made with dome fabric, event banners and seatbelts. A wallet for sale at the organization’s shop is made from dome fabric and banners that adorned the city when it hosted its first Super Bowl in 2012. PUP even teamed up with the organizers of the Fountain Square Music Festival to salvage and reuse banners used during the event. People for Urban Progress profits are reinvested into community projects. Landfills in Indiana receive about 10 million tons of solid waste per year, a number that the Indiana Department of Environmental Management expects to grow. Landfill space is limited, and several landfills in the state are expected to fill to capacity within the next decade. Reusing materials that would otherwise be thrown away could extend the life of landfills. It also reduces the need for production of new materials, which means a reduction in emissions associated with production. The organization uses salvaged materials, like Teflon-coated fiberglass from the demolished RCA Dome, to make new items. The organization’s eco-practical stance attracted seamstress Amy Beemer, who says PUP is providing a unique service in the Midwest. Cowley says PUP’s next project is a partnership with passenger railroad company Amtrak. The company provided PUP with dozens of leather seat covers it had replaced in its fleet. PUP artisans broke down the seat covers and designed a batch of leather backpacks, totes and toiletry bags. Cowley says people all over the country are buying the Amtrak bags. The money earned is being reinvested into the community. PUP's studio and store are located at 160 Steeples Blvd. in Indianapolis.